GANGNEUNG, SOUTH KOREA - Nicknamed the “Angry Cat” for her posture and a mean streak developed during two seasons honing her skills in the Netherlands, Nao Kodaira has sharpened her claws and is poised to pounce in the women’s speedskating 1,000 meters at the Pyeongchang Games. Kodaira headlines Wednesday’s field as the woman to beat, having set the world of record of 1 minute, 12.09 seconds at the Utah Olympic Oval in a World Cup meet in December. 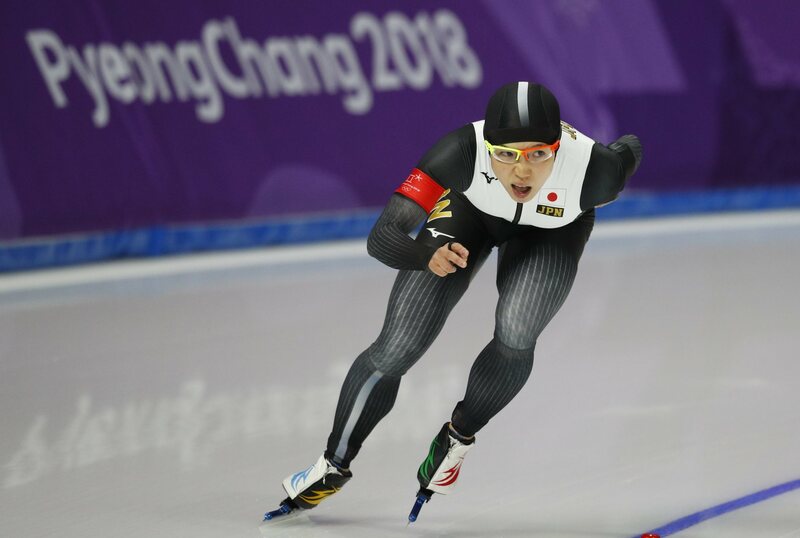 The 1,000 will be the first of two sprint gold medals Kodaira is taking aim at here, the 31-year-old from Nagano is also the favorite in the 500, a distance she is unbeaten in at home and abroad in 24 races stretching back to last season. That Kodaira has so far failed to medal in an individual event at a Winter Olympics makes her current star status all the more surprising. But Dutchman Robin Derks, a sprint coach hired by the Japan Skating Federation initially as an assistant to long-distance trainer Johan de Wit three years ago, believes her unusual career move to the Netherlands shortly after the Sochi Olympics has been the catalyst in Kodaira’s rise to the top. She entered Shinshu University in Nagano Prefecture after graduating high school, but declined to join a corporate team after college, as is the norm in Japan. And finding her own path eventually led her to the Netherlands, where she trained for two years after her Sochi disappointment. “She learned in the Netherlands that there was not much emotion with the Japanese skaters because there were no results and every year was the same, same, same,” Derks told Kyodo News at Gangneung Ice Arena ahead of Wednesday’s race. She was nicknamed “Boze Kat” (Dutch for angry cat) by her teammates in the Netherlands because of the dynamic but flexible skating style she developed. “In the Netherlands, she had a posture like a cat but she also learned to get some emotion and get angry before a race and want to win,” Derks said. Like Kodaira, Nana Takagi, the sister of Monday night’s 1,500-meter silver medalist Miho, also spent time in the Netherlands. “I think the biggest differences (for skaters that have trained in the Netherlands) is that they know what to do as a skater,” said Derks. “They know mentally what to do and how to set goals, what is good and not good, what they didn’t know before. Although South Korean two-time and reigning Olympic champion Lee Sang-hwa appears to pose the biggest threat to Kodaira in the 500, it is Miho Takagi that will likely push her to the brink in the 1,000. Takagi has finished runner-up to Kodaira three times on the World Cup circuit, including the race in which Kodaira set the world record in Salt Lake City. She placed fifth in the 3,000 before Monday’s runner-up finish in the 1,500 and is looking to go one better in the 1,000. “I am happy but at the same time frustrated,” Takagi said after Monday’s race. “The 1,000 and team pursuit events are the upcoming races and I will really strive for a better color of the medal or show a better performance. 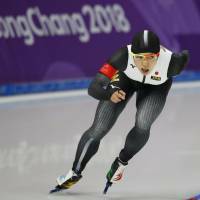 Ireen Wust, who pipped Takagi to the 1,500 gold by just 0.20 seconds, is the Sochi Olympic 1,000 silver medalist and is also entered along with defending champion Zhang Hong of China. Derks, though, believes Kodaira, who placed sixth in the 1,500, will prevail in the 1,000. “I think she can do it because yesterday she skated in the 1,500 meters in sixth place,” Derks said. “It wasn’t a really good race but I think she can do better in the shorter distances.